We’d love your help. Let us know what’s wrong with this preview of Arrow of the Mist by Christina Mercer. To ask other readers questions about Arrow of the Mist, please sign up. Can I read this book as a Stand-Alone book, or do I have to read the whole series? Courtney The major points of Arrow of the Mist are wrapped up at the end for the most part and while there isn't a cliffhanger per se there is a heavy lead in…moreThe major points of Arrow of the Mist are wrapped up at the end for the most part and while there isn't a cliffhanger per se there is a heavy lead in to Arms of Anu. This is exactly the kind of book I would’ve wanted to curl up with on my window seat with when I was a teen – and my enjoyment of it now reminded me of how much I love beautifully written, epic quests with powerful female characters. When I finished, I was a little shell-shocked to find myself back in the real world. I want to lose myself again in Mercer’s forbidden lands, magic plants and ancient folklore. Here’s hoping we don’t have to wait too long for a sequel! A rollicking great epic journey with a strong female protagonist, Arrow of the Mist is a YA novel that is atmospheric and deeply rooted in Celtic traditions and herblore so real you'll believe the land of Brume is truly just waiting beyond the garden gate. Mercer writes beautifully, and her protagonist Lia is strong, smart and savvy--a wonderful role model for girls today, but this lyrical novel will captivate readers of all ages. Confession time - I haven't read the blurb but boy isn't the cover pretty! I strongly believe that many, like I, were taken aback after seeing this book. It showed out of nowhere and suddenly I was in desperate need for this book. Look at the cover it literary talks to you and then you read the blurb and you stare at it in awe! At least I was. It sounded like everything one might need to have a bloo Confession time - I haven't read the blurb but boy isn't the cover pretty! I strongly believe that many, like I, were taken aback after seeing this book. It showed out of nowhere and suddenly I was in desperate need for this book. Look at the cover it literary talks to you and then you read the blurb and you stare at it in awe! At least I was. It sounded like everything one might need to have a bloody great fantasy novel. Honestly I'm like super close to posting a meme at the start of this review, but I shall resist. I'm sure though that you all remember the old fantasy TV shows for kids and fairy tales which had magic and good old riddles (you remember them?). Well this book has it all. Now I came to the hardest part and that would be explaining my emotions and awesomeness of this book to you with my words. It's basically impossible as this book is magical. Every aspect of it - from Lia who is a girl every kid wish to be. She is a girl who is brave and not thinking twice when everyone are in danger and she must cross to Burme, the magical land from which no one came back, in order to find a cure. She is ready to do that and much more to save her father and her land as shadows are getting closer and closer. On this magical quest she will also find a great friend in her cousin and also first affection and something that might turn into love (not in cousin but someone else). But most of all she will find herself and discover that magic is great part of her life and that it'll always be. You can find some basic elements of fantasy here and this, for sure, would be a book that I'd read under my tent in the bed as a little kid with a flashlight and staying awake longer than I should. Even though my age tells you something else I still do that, only I don't need flashlight with the new technology. Arrow of the Mist is an intriguing tale of a young woman destined for greatness, the power of the natural world and dedication to family and history. The writing is tight and compelling, and the heroine is one for many YA readers to look up to - I personally look forward to the next adventure! I loved, loved, loved this mystical adventure! It carried the classic fight between good and evil to epic proportions. In this novel, Lia, along with three others, venture into the fog to reach Brume where they hope to find nature’s cure for a horrible, thorny plant that has been attacking and poisoning the people of the village she lives in, including her father. She has to use the healing knowledge passed down to her from her grandma and grandpa and trust many of the creatures that inhabit the I loved, loved, loved this mystical adventure! It carried the classic fight between good and evil to epic proportions. In this novel, Lia, along with three others, venture into the fog to reach Brume where they hope to find nature’s cure for a horrible, thorny plant that has been attacking and poisoning the people of the village she lives in, including her father. She has to use the healing knowledge passed down to her from her grandma and grandpa and trust many of the creatures that inhabit the land beyond the fog in order to protect herself and her family. Lia, as the central character, rocked. I loved her resilience, independence, and family devotion--a beautiful character. I also enjoyed the subordinating characters, like Wynn who supported Lia on her journey through Brume. I actually really appreciated that it wasn’t a love interest traveling with her on this troubled journey; instead, it was family. I have to say that the theme of family devotion was very important in this story. I think if her love interest had been on the journey it would have sidetracked the story line. Because the story was really about Lia and her emerging abilities and how she grew and changed on this adventure in order to save her family (NOT about falling in love). Something else that was cool was the fact that even Lia’s horse became a character in the story, a minor one, but a lovable one--I don’t usually get that connected to the minor animal characters in a story, but when Merrie was in distress, I was in distress! What a loyal animal. Lia has a botanical gift. She knows the ancient names, ancient uses, and ancient lore for every plant. Unfortunately, the king has outlawed such practices as well as ent This book is a textbook example of what I love most about the children’s genres: a strong lead, incredible fantasy world, an imaginative plot, absolutely gorgeous prose, and a lingering depth to the story that I can take away with me and mull over later. I can’t think of a single negative. I was completely captivated by this one. As I mentioned, the world created through Arrow of the Mist was fantastic! It was unique, and so flushed out...it was one of those worlds that you can almost picture yourself walking through while reading. Christina Mercer did an amazing job describing everything, and her writing really brought it all to life. I loved the descriptions of the various magical happenings...I don't want to describe them too much because you totally need to experience them for yourself, and I just absolutely Brume! The different creatures, the landscapes...everything was so amazing, and I loved it! I was completely swept up in Lia's world, and she was the perfect character to discover it all through---she was curious, but smart, and I definitely thought she made getting to "see" Brume even better! * This review also appears on my blog and on my other social media accounts. This epic ya fantasy was a delightful read. It has all the ingredients that I look for in a story, plus a great writing style that will quickly absorb you into this magical land. Arrow Of The Mist, can best be described as a journey, not only a journey to find a solution to a problem, but a journey of a young heroine whom happens to be very smart and strong. Lia, is everything I enjoy reading about. She's strong, independent, fearless, and excellent with a bow. Lia also has a fierceness to protec This epic ya fantasy was a delightful read. It has all the ingredients that I look for in a story, plus a great writing style that will quickly absorb you into this magical land. Lia, is everything I enjoy reading about. She's strong, independent, fearless, and excellent with a bow. Lia also has a fierceness to protect her family and has no doubts over her decision to journey into the magical, mysterious, land of Brume. Lia's father has been stricken ill with a deadly aliment, caused by roots in the forest. An ailment that has stricken this small village in the celtic community. Lia knows there is only one option for her, and that is to save her father, no matter what the cost are. Lia learns of place, that may hold the cure for her father, as well as many other's whom have been recently stricken in this tiny village. She sets off on her journey with her Granda, Wynn her cousin, and a family friend whom holds a special liking to Lia, Kelven , oh, and of course her most trustworthy companion, her dog, Koun. As there journey is plagued with illness the companions must part ways and Lia and Wynn must continue on the journey. Brume is a forbidden forest which holds strange creatures, deadly aliments, and a strange draw for our heroine, as she learns there may be more to her strength and cunningness then she ever dreamed possible. She learns more of herself and her magical ties to the land, and she also shines as a strong fierce heroine, whom I would love to shoot a bow & arrow with! The book has lovely cover indeed and very originated this days. Lia is a strong character with a headful and beltful of balms and cures.She is not perfect, as she has an impulsive temperament and growing sense of power, which requires effort and mastery on her part. As barbed roots breach the veil of a Brume (the magical land forbidden land)to Nemetona and poison woodsmen (also her beloved father and grandpa). She must cross the dangerous veil to Burme, from which no one came back, in order to fi The book has lovely cover indeed and very originated this days. Lia is a strong character with a headful and beltful of balms and cures.She is not perfect, as she has an impulsive temperament and growing sense of power, which requires effort and mastery on her part. As barbed roots breach the veil of a Brume (the magical land forbidden land)to Nemetona and poison woodsmen (also her beloved father and grandpa). She must cross the dangerous veil to Burme, from which no one came back, in order to find a cure. She is ready to do that and much more to save her father and her land as shadows are getting closer and closer. On this magical quest she will also find a great friend in her cousin and also first affection. In Brume we find many wondrous creatures like dwarfs, unicorns, water nymphs and faeries. The descriptions are so vivid that it enable you to pictures them in your mind. The world also boasts a rich lore, in which every tree tells a story, and it’s a lore that Lia knows by heart thanks to her beloved grandmother’s Grimoire. 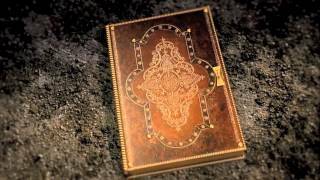 I really liked the use of a book-within-a-book to further enhance the feeling that this realm that Lia called home was a real place, complete with its own legends. True to the Celtic lore, Lia seemed to have an incredible memory, she was easily page in her mind the right reference when the need arise. Between others themes like: strength of belief, truth, and the meaning of power, I think that "family" is one of the major. Lia's family is a close-knit group, and Lia’s bond with her grandfather and grandmother was particularly strong. Strong is also, her relationship with her cousin Wynn(which accompany her all over Brume) and toward his talented sister when she hear about it(of course she must come to live with us). This skillfully crafted novel contains myth, herbology, and fantasy in a fantastic story that is not just entertaining but thought provoking as well. The main character, Lia, posses a powerful wisdom when it comes to herbs, wisdom that can save those around her. Some plants have the ability to heal and others have the ability to kill. Lia races against time to save those she loves the most. I look forward to reading Christina's next book. Excellent-five stars! I have to admit, the main reasons why I got this book was the cover. And the name. Arrow Of The Mist. What can I say, archery fascinates me! But as soon as I started reading this, I knew I would fall in love with the charactures. And I am pleased to say that Arrow Of The Mist is now one of my favorite books! Yay! Arrow of the Mist is as beautiful as the cover suggests. A wonderfully inventive story with a strong heroine and plenty of myths and magic. I loved the vast array of characters, creatures, magical beings, etc that Lia meets on her journey, and the touch of romance was just perfect! Definitely recommend Arrow of the Mist! Mercer has a way of taking fantasy and folklore characters to a whole new level. What you'd expect fairies might do or be changes. Lia's adventures and courage and talents are unlike anything I've ever read. Arrow of the Mist is one wonderful YA fantasy adventure. When barbed roots from a no-man's land poisons multiple villagers, including her father, Lia sets off with kin to enter the forbidden land to find a cure. With nothing but will, her knack for herbs and plants, and her late grandmother's Grimoire, she has to experience everything the dark land has to offer if she wants to succeed. She gains knowledge and power along the way, but by the end, she has to choose between lives and her own be Arrow of the Mist is one wonderful YA fantasy adventure. When barbed roots from a no-man's land poisons multiple villagers, including her father, Lia sets off with kin to enter the forbidden land to find a cure. With nothing but will, her knack for herbs and plants, and her late grandmother's Grimoire, she has to experience everything the dark land has to offer if she wants to succeed. She gains knowledge and power along the way, but by the end, she has to choose between lives and her own beliefs of what's best for the land and kingdom. From the very first chapter, I was transported to the Celtic-inspired kingdom of Nemetoma. From Lia's little village to the misty fog that veils the mysterious and forbidden land of Brume, then through it, the forests, and the desolate expanses, I was brought into the wide range of settings. With everything from fae to dwarves to rock giants, mystical lore to ancient mythology, earth magic to herbal wisdom that grounded it—the idea behind the world was fantastically inventive. The characters were strong yet endearingly flawed. I would've appreciated more overall emotion and more emphasis on Lia's inner personal struggle. When it comes to Fantasy, I expect a certain character depth. Besides the outer conflict brought by an external force, the protagonist needs to have a quality that could lead to her downfall. It helps a reader connect, really feel her and root for her. Lia felt ... perfect, too much so as a young heroine. Nonetheless, I liked her and all the other characters. All the riddles woven throughout the story and grimoire were fun to solve and brought the plot around nicely. I breezed through the book, eager to know where everything would lead, and the description of the plants, with all the uses and history, were breathtaking. The story leans more young YA, with the romance implied and not highlighted (which is a shame because I adored the love interest), but I still enjoyed it and would read the next installment. I'd recommend it to YA Fantasy, race-against-time adventure fans who enjoy fairytales and all types of lore. Wow! It's easy to see when books have been created with passion and skill, and even easier to see when the craft of writing has been taken seriously by both author and editor. Arrow of the Mist is an amazing journey through not only a magical and dangerous land, perhaps just off the beaten path near your house, but it's also an exploration of the idea that nature will care for us if we care for it. Herein, the author does everything right. Characters are vividly drawn, interesting, and reveal their personalities through speech and actions. Dialogue carries the story forward capably without becoming stale or wooden. The conflict is real, compelling, and amazingly, doesn't require the heroes to hack and slash their way to victory. There's an interesting puzzle needing to be pieced together, and woven throughout the text are lyrical bits of riddling poetry handed down through generations, harkening back to the poems and lays in Tolkien's masterpiece. Here, these serve a dual purpose, both as a way into the deep culture the author has brewed up, and as a means for piecing together the history and mystery set up within. Pacing is good, and we have the extra added bonuses of both amazing cover art, and cool chapter headings. Overall, this book is everything I would hope to find when cracking open traditional fantasy. Which is why it was such a struggle to decide on four or five stars. See, the book was touted as a YA Fantasy, but it's difficult to see a young person reading it without serious difficulty. The vocabulary is lush, including words (like lissome) that I was forced to look up. Entire paragraphs are chock full of not only this, but fantasy cultural slang words, strange (made up?) names for herbs and plants, and fantasy names for trees. I've decided to award the book five stars due to sheer awesomeness, but parents are warned that the material may be a bit rough for young teens to handle (it's rated PG, but difficult because of the reading level), and are therefore encouraged to read and discuss with their children. Lias father and a few others in her village have been struck down with a mysterious illness. They get pricked by some thorns and end up getting very sick. Her grandfather knows where the thorns come from, Brume! Its a place shrouded in fog and very few come out of there alive. Lia knows she has no choice but to venture into the unknown to save her father. She sets off with her grandfather, Wynn (her cousin)and Kelvin (her cousins friend)to find a cure but will they be on time? I went into Arrows Lias father and a few others in her village have been struck down with a mysterious illness. They get pricked by some thorns and end up getting very sick. Her grandfather knows where the thorns come from, Brume! Its a place shrouded in fog and very few come out of there alive. Lia knows she has no choice but to venture into the unknown to save her father. She sets off with her grandfather, Wynn (her cousin)and Kelvin (her cousins friend)to find a cure but will they be on time? I went into Arrows Of The Mist not having read too many reviews. I didn't know what to expect and was pleasantly surprised with it. I really liked Lia, she is well able to look after herself and is brave and courageous. She has no problem going into an unknown place and facing what she has to do. She follows in her grandmothers footsteps and has a gift for plants and healing potions. The little bit of romance in Arrows Of The Mist was really sweet. Lias love interest was evident from the start but I felt it could of been developed a bit further. We don't get to see alot of Kelvin and his relationship with Lia was basically non existent. I would of enjoyed it better if Kelvin went with Lia instead of Wynn. Arrows Of The Mist was a quick read. The story progressed really quickly and was action packed but there wasn't much character development though which is why I gave it 4 stars. Review to come. I totally loved this. Absolutely hypnotizing from page 1. Christina writes a captivating tale that grabs your interest and never lets go. An absolute must if you haven't read it yet. Can't wait for Arms of Anu (Book 2). Arrow of the Mist was an entertaining, quick and well thought out beginning to, what I think, will be an awesome series! Mercer has a way of working her words in a simple yet interesting way. Her pacing is wonderful and the story is action packed from beginning to end. On top of that she has worked together some really interesting characters. I loved that this book was rooted in Celtic history, though it takes a turn i You can read this and many other reviews on my YA book blog The White Unicorn! I loved that this book was rooted in Celtic history, though it takes a turn into a fantasy realm, you never really lose the history of the people that the story surrounds. I found it refreshing. Speaking of Mercer's fantasy realm, I loved all of the aspects that she wove into her story. There were wondrous creatures that I had never heard of and others like dwarfs, unicorns, water nymphs and faeries. Even the creatures that we all know were re imagined in some really spectacular ways. I enjoyed the fact that I knew what the creatures were, but that Mercer was giving all of them a fresh face. Arrow of the Mist is also riddled with riddles taken out of Lia's grandma's Grimoire. Magic plays a key role in the world building of the story and Mercer also gives that aspect a make over. The mystery elements were hidden inside of the riddles, which was fun. She rooted it in a realistic world while also letting the magic do its own thing. Can you tell that I was obsessed with the world building in this book yet? Because I totally was! It was dark and evil and light and beautiful all at the same time. As soon as you step into the land of Brume anything goes and Mercer used that to her advantage! The characters were also a lot of fun to read about. Lia is a strong female lead, who also isn't afraid to show us her weaknesses! I'm a huge fan of main characters like that. Not only is the book a action packed fantasy story, it's also Lia's coming of age story. And trust me, she comes back to her home land a completely different person. The unfolding of her tree mage powers was also fascinating to watch. Though there is a hunky love interest by the name of Kelvin, he isn't used in much of the novel. Which I thought was kind of awesome. You know he's there, but the story focuses on Lia and her cousin Wynn. Speaking of Wynn, he was pretty amazing himself. I couldn't have wished for a better partner in crime for Lia. Reading a book that centered on family was a nice change of pace for me. Mercer's use of animals and plant life in Arrow of the Mist also brought a certain life to the book. Hounds, bees, horses and a slew of plant life play a large role in the book and she gave them all the right amount of personality! All in all I have to say that Mercer has written a solid first novel. Though I do have to get up on my soap box for second and let you know that I thought that the ending was way to abrupt. It almost felt like it cut off in the middle of a paragraph to me. But, that being said I'll be sitting here waiting to see what happens next in book 2! I should preface this review by saying that I am a huge fan of epic fantasy and that anything Celtic has a particularly special place in my heart, thus I went in already loving the premise, but I had very high expectations. About two chapters in, I went searching for the publisher because the prose was exquisite and I wanted to know who the editor was. I couldn’t believe this novel was self-published! It is without a doubt the best self-published book I have ever read. Now more about the prose – the prose captures the atmosphere of this book perfectly. Lia is young, only fifteen, and quite innocent by modern standards. She’s the resident herbalist in her village and the writing reflects her love of nature with phrases like ‘I don’t give a thistle.’ These little gems were sprinkled throughout the novel and I found them delightful and true to character. The story itself is a take on the classic Hero’s Journey and while I did feel at one point that their quest started to drag, it only lasted about half a chapter before the author threw something new and exciting into the mix. 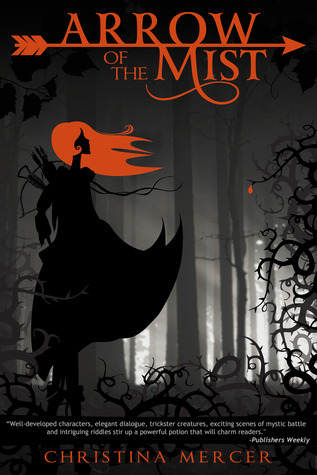 This novel has it all: faeries, shades, dwarfs, unicorns and sentient trees! The world-building is fantastic, the division between the normal and the fae world reminding me of Gaiman’s Stardust, not in a derivative way but in a familiar, old-friend kind of way. This book definitely took me back to my childhood, to rainy afternoons spent reading with my mom about magical, far away places. The author clearly knows her stuff when it comes to herb lore and this showed through the characters, adding layers of authenticity to the world. The subtle borrowings from Celtic folklore made me smile too. I did find the pervasive innocence of the characters more in line with what I’ve read in MG than in YA. These characters are neither cynical or jaded, rather refreshing from the usual YA set, but it does make the characters come across a bit young. I’d definitely recommend this book to fans of Janice Hardy’s Shifter series rather than fans of books like The Hunger Games and Graceling. If I’m going to find anything to gripe about in this story it’s that Lia seemed to have an incredible memory and always managed to recount the perfect bit of lore from her Grandma’s book just in the nick of time. This method of saving the day became a little contrived after a while, but that’s honestly the only thing that took the shine away from a full 5 stars. Oh and that ending! Really, we have to wait ’til the end of the year for more? This is one sequel I will definitely be reading and I don’t say that very often. 'Arrow of the Mist' is a young adult fantasy novel that follows leading lady Lia as she goes on a journey with her Granda, cousin Wynn, and family friend. They are going into the forbidden land of Brume - a harsh part of the country outside of their town's borders in order to gather valuable herbs to make a remedy for the mysterious illness that's attacking people of their village. During their journey, Lia's Granda becomes ill and it's up to Lia and Wynn to finish the important quest. Will they be able to gather the necessary plants and herbs to cure Lia's father and the others who have fallen ill? Or will the creatures and the dangerous truths of Brume claim Lia for their own? This was a beautifully written and magical novel that immediately had me hooked from the first paragraph. I loved learning as much as I could about the kingdom of Nemetona, which was inspired by Celtic history. The back story of the land and its people was fascinating and I enjoyed discovering all the secrets that the Brume had to offer. I also loved learning about Lia's family history, especially her grandmother and their special powers that revolve around healing, magic, and herbs. I was totally intrigued by all the information that the author provided and I eagerly devoured each page. The characters were all well rounded and easy to like, especially that of Lia. She's a strong female lead character who is a great role model as well. She's smart, focused, devoted to her family, and skilled in several important areas like hunting and working with herbs to heal others. Like all realistic heroines, Lia must face ridicule from other people who don't understand her and don't like her for being different. On top of these outside obstacles, Lia also has to learn to trust herself, believe in her gifts, and also discover enough about herself and where she comes from to gain the strength to do what needs to be done. She matures quite a bit throughout the novel, and I loved seeing her character grow. The plot was wholly original and a wonderful addition to the YA fantasy genre. There was a mix of genres present in the story - it has a bit of action, fantasy, adventure, suspense, mystery, and even some romance thrown in, so it's sure to be a hit with fans of all types of fiction. The writing was incredibly well done and shows the great talent the author possesses. It has a fast pace and flows effortlessly throughout the novel, so it has the reader eagerly turning each page to see what will happen next. Highly recommended for fans of YA fantasy and also for those who want to escape into a magical and mysterious land for awhile. The part of this book that I loved most had to *note: I received a copy of this book to read via Netgalley in exchange for honest feedback. Spellbinding imaginative concepts and fantastical worlds will transform your dreams into reality as soon as you begin to read! Any child (or teenager) will find this magical tale hugely impressive, for as soon as you delve into this dazzling debut it unlocks a portal of wonder. In the midst of danger and deception lies an undercurrent of strength, in the form of fantastic main protagonist Lia, whose likeability instantly pulled me along her journey. This is a fairytale like no other; set within an alternate Irish setting, the world of Nametona is a place shrouded in dark ambiguity and secrets. Containing all those elements one would hope to find in classic ‘high fantasy’ such as epic quests, magical creatures and a great destiny this story was solid and full of substance. Targeted towards the younger reader (middle-grade) ‘Arrow of the mist’ is an enchanting story that will delight fans of fairytales and Harry Potter! With a mystical setting that sends shivers down the spine to curious creatures who intrigue…this book really does encapsulate fantasy fiction in a compelling story. Exceeding all expectations with a convincing storyline and well written narrative, here is a book which will be read and re-read again and again. I would like to thank Christina Mercer for providing me with an e-copy of her brilliant book to read and review, as I not only thoroughly enjoyed it but cannot wait to delve into book 2 with interest and anticipation. The transfixing combination of the beautiful, eye-catching cover and fascinating storyline is a winner; as I was keen to explore an entirely new ‘twisted fairytale’ version. First of all, my compliments to the cover artist. How awesome that it wasn't another typical dragon or princess cover. Love that. Also, that colour scheme is really eye-catching. Secondly, I really enjoyed this book. The main female character, Lia, is certainly one to contend with. Her quick wit and overall presence made this book an easy read to love. I get tired of the fantasy novels where all of the women seem to need rescuing every other minute. It was nice to see a head with some brains in First of all, my compliments to the cover artist. How awesome that it wasn't another typical dragon or princess cover. Love that. Also, that colour scheme is really eye-catching. Secondly, I really enjoyed this book. The main female character, Lia, is certainly one to contend with. Her quick wit and overall presence made this book an easy read to love. I get tired of the fantasy novels where all of the women seem to need rescuing every other minute. It was nice to see a head with some brains in it. I love that so much of this book focuses on riddles, herbs and animals. This is the main reason why I love fantasy in general, and this author handled it very well. Good enough, in fact that it makes me wonder why I had not heard of said her until recently. I never felt like I was reading a rehash of someone else's work during this. Points for originality. I appreciated the way this book progressed. It was fast enough to make me keep turning pages, but not so quickly paced that I felt I didn't have the chance to get to know each character. Everyone has a reason for their actions and I wasn't lost at any point. The descriptions the author used were more than just adequate. The surroundings come alive through her use of good word choices and her ability to describe the sounds, tastes, scents and sights of things in vivid detail. I would definitely recommend this book to other lovers of the fantasy genre. If you don't read it, you will be missing out. This is the story of Lia, a brave girl in search of a cure after her father is poisoned by a deadly thorn. The venomous plant is spreading quickly, killing peasants as they work in the woods. Dark magic is sending the root system far and wide, and the usual remedies don't heal the victims. Lia and three others embark on a quest to get the necessary ingredients to cure those infected. It is on this journey that Lia finds the power behind the poison plants and discovers she has magic of her own. Ar This is the story of Lia, a brave girl in search of a cure after her father is poisoned by a deadly thorn. The venomous plant is spreading quickly, killing peasants as they work in the woods. Dark magic is sending the root system far and wide, and the usual remedies don't heal the victims. Lia and three others embark on a quest to get the necessary ingredients to cure those infected. It is on this journey that Lia finds the power behind the poison plants and discovers she has magic of her own. Arrow of the Mist is an awesome coming-of-age story, steeped in mystical folklore. Lia's long standing knowledge of natural resources and recently exposed inner power makes for a wonderful battle against evil - she uses her brain and brawn against magical enemies. The story is fast paced, the plot is entirely original, and the quest is thrilling. Lia battles evil and encounters first love on this quest; making the well-rounded protagonist even more dynamic. She is a heroine for all readers, and her quest will resonate with all who love a great adventure. The combination of Celtic-inspired myth and very real botany is fun to read, the fight scenes are vivid and exciting, and the conflict is convincing. I love stories where good and bad overlap, and it is in this gray area that Lia finds herself. Does she finish what she started or surrender to the natural order of living things? This is a great book, and you will enjoy the adventure - I promise. This is the story of Lia, a brave girl in search of a cure after her father is poisoned by a deadly thorn. The venomous plant is spreading quickly, killing peasants as they work in the woods. Dark magic is sending the root system far and wide, and the usual remedies don’t heal the victims. Lia and three others embark on a quest to get the necessary ingredients to cure those infected. It is on this journey that Lia finds the power behind the poison plants and discovers she has magic of her own. Ar This is the story of Lia, a brave girl in search of a cure after her father is poisoned by a deadly thorn. The venomous plant is spreading quickly, killing peasants as they work in the woods. Dark magic is sending the root system far and wide, and the usual remedies don’t heal the victims. Lia and three others embark on a quest to get the necessary ingredients to cure those infected. It is on this journey that Lia finds the power behind the poison plants and discovers she has magic of her own. Arrow of the MistThe Arrow of the Mist is an awesome coming-of-age story, steeped in mystical folklore. Lia’s long standing knowledge of natural resources and recently exposed inner power makes for a wonderful battle against evil – she uses her brain and brawn against magical enemies. The story is fast paced, the plot is entirely original, and the quest is thrilling. Lia battles evil and encounters first love on this quest; making the well-rounded protagonist even more dynamic. She is a heroine for all readers, and her quest will resonate with all who love a great adventure. I loved Arrow of the Mist, and I wish I could go back in time and give it to my preteen self, because I would have loved it then even more! I was immediately attracted to this novel by the synopsis, since I’ve always been fascinated by herbal medicine and magic, and by Celtic lore. Many of my all-time favorite childhood reads had to do with these subjects, and Arrows of the Mist brought me back to the magic of books like Wise Child and Juniper by Monica Furlong, The Forestwife by Theresa Tomlins I loved Arrow of the Mist, and I wish I could go back in time and give it to my preteen self, because I would have loved it then even more! I was immediately attracted to this novel by the synopsis, since I’ve always been fascinated by herbal medicine and magic, and by Celtic lore. Many of my all-time favorite childhood reads had to do with these subjects, and Arrows of the Mist brought me back to the magic of books like Wise Child and Juniper by Monica Furlong, The Forestwife by Theresa Tomlinson, and, with its epic quest structure, the Prydain books by Lloyd Alexander. I was sucked into Arrow of the Mist right away by the vivid, detailed world the author created, with the mystery of Brume and its ominous mists. I liked the heroine, Lia, immediately because of her knowledge of plants used for healing and her deep appreciation for the natural world around her. The author obviously did a lot of research into the uses and symbolism of plants, and she incorporated it throughout the story in a really interesting way. I especially loved the growing bond between Lia and the various trees, all identified by their Celtic names and symbolic meanings. (I actually would have liked a glossary for these, too—although they were all defined in the book, it would have been nice to have this.) And the idea of a villainous plant, as it’s described in the book, is truly terrifying! I also loved the various magical creatures that inhabited Brume, particularly the fae and unicorns…and I knew there was something unusual about Lia’s dog from the very beginning! The plot was fast-paced and exciting, with Lia and her companions constantly facing new dangers. Some reviews of this book have noted that it’s more plot rather than character-driven, and I guess I’d agree with that, but it didn’t really bother me. I definitely saw character growth in Lia throughout the novel, and I also felt like the various landscapes of Brume were, in their own way, characters that added depth to the novel. This would certainly have been a different book if Lia’s romantic interest had been given a larger role, and I might have liked that book too…but I really just enjoyed this story for what it was. Also, the ending leaves us with plenty of possibilities for a sequel, and I can see how the author might develop the romance in a second book. Christina Mercer is an award-winning author of fiction for children and young adults. Honored titles include Tween Fantasy ARROW OF THE MIST & its sequel ARMS OF ANU, and YA Paranormal Romance HONEY QUEEN. In addition, she is a once-upon-a-time CPA who offers tips on accounting and taxes for authors in her BEAN COUNTING FOR AUTHORS guidebook. Christina resides in Northern California enjoying l Christina Mercer is an award-winning author of fiction for children and young adults. Honored titles include Tween Fantasy ARROW OF THE MIST & its sequel ARMS OF ANU, and YA Paranormal Romance HONEY QUEEN. In addition, she is a once-upon-a-time CPA who offers tips on accounting and taxes for authors in her BEAN COUNTING FOR AUTHORS guidebook. Christina resides in Northern California enjoying life with her husband, two sons, four dogs, and about 100,000 honeybees.